Nobody likes having to move. There’s packing, organizing, cleaning your baseboards for the first time in five years, bribing casual acquaintances to help you carry things with the promise of pizza, and so on and so forth. 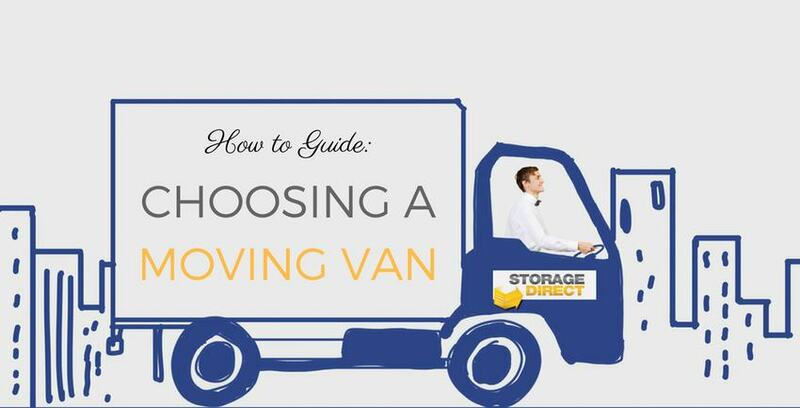 On top of what feels to be ten thousand other concerns to address and tasks to complete is a very important question: do I need a moving van… and if so, how do I choose the right one? There’s an easy rule of thumb to follow when determining what size moving truck is best for you… and all you have to know is how many rooms there are in your home. If you live in a studio apartment, you will likely only need a cargo van or 10? moving truck. If you live in an apartment or home with two bedrooms or less, you will need at least a 15 foot moving truck. If you have two to three bedrooms, you will need at least a 20 foot moving truck. If you have four or more bedrooms, you’ll need a 26 foot moving truck. When you’re moving, take away an additional concern by renting a unit with Storage Direct for all the extra things you’ve got lying around. Then go ahead and order that rental truck – you can do it!